Hello blog readers, it’s time for another inspiration post here on the Cropstop blog. 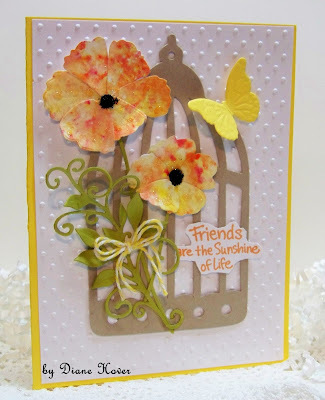 Today I’m sharing a black and white card I created using one of Cropstop’s Zentangle stamps. Actually I made two cards with slightly different designs on the bottom. Which one do you like better? Now it’s your turn to share the projects you’ve been working on. Stop by the CURRENT LINK PARTY and link up your creations that include a few products from companies Cropstop carries in the store. Hope to see you there! Now it’s your turn….Stop by the February Link Party and link up any project that includes a few products from companies Cropstop carries in the store. 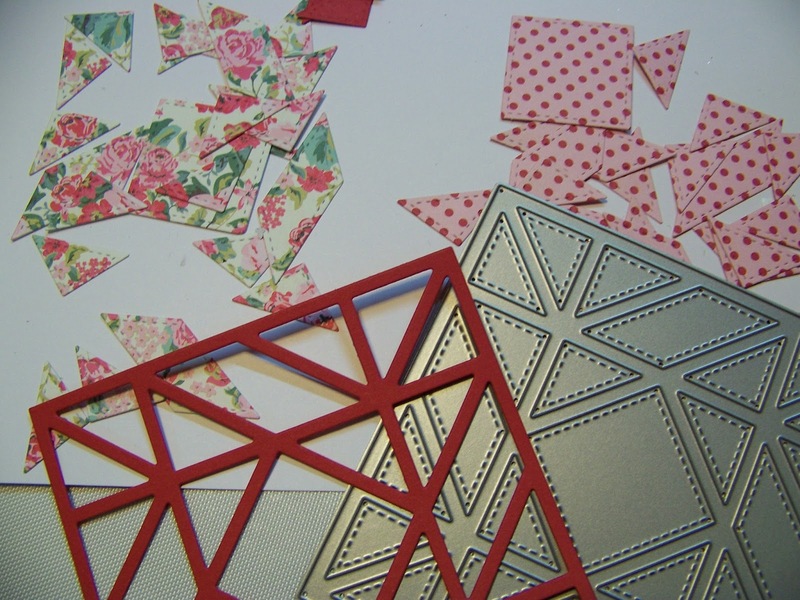 The I just simply pieced the die cut pieces in where I wanted them. and then a pink card stock base. 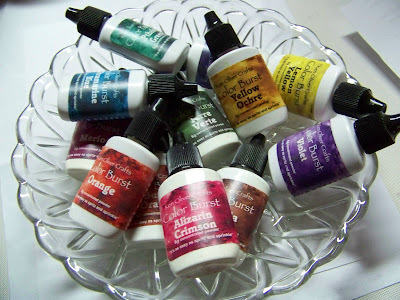 Cropstop has several different Zentangle stamps in stock right now, and I just love all the detail included in them. Today I’m showcasing the beautiful Zentangle Butterfly set from Woodware Clear Stamps. I actually did two different versions of the butterfly…Version #1 has the lighter colors on the outside of the wings Version #2 has darker colors on the outside and a layer of clear UTEE over the top to create a glossy look. I think I like the first one better — which do you prefer? I inked up the sentiment from Zentangle Butterfly in three shades of Distress Ink (Spiced Marmalade, Fossilized Amber, Abandoned Coral) and spritzed it with water before stamping it in the lower right corner. as it is here in Michigan, it just might perk me up! then tapped the bottles onto the wet card stock. I added a bit more water to get a bit more design. You want to be a bit light on the water, so you don’t end up ‘muddying” the colors. Also a warning, these color bursts can be a bit addictive! 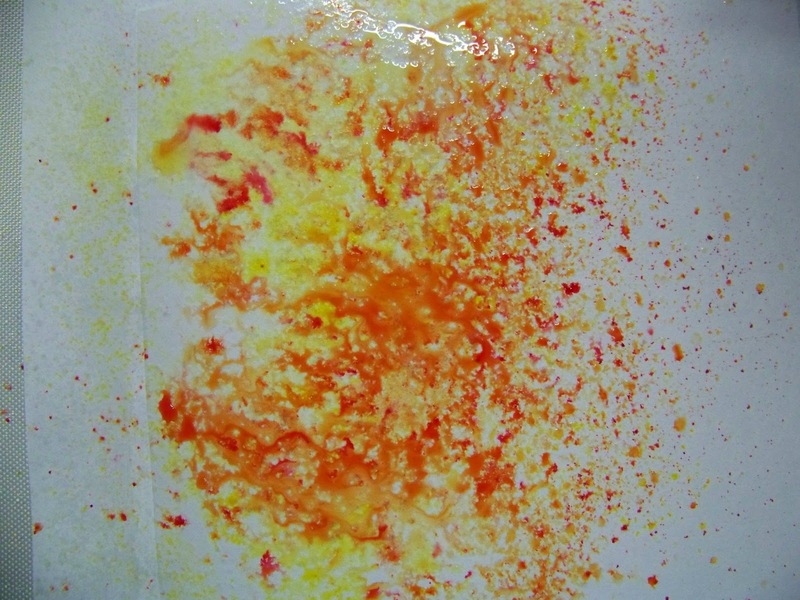 I used Lemon Yellow and Orange. I then used a Poppystamps Velvet Blossoms die to cut out my flowers. Once dry I did another fun trick to the flowers. 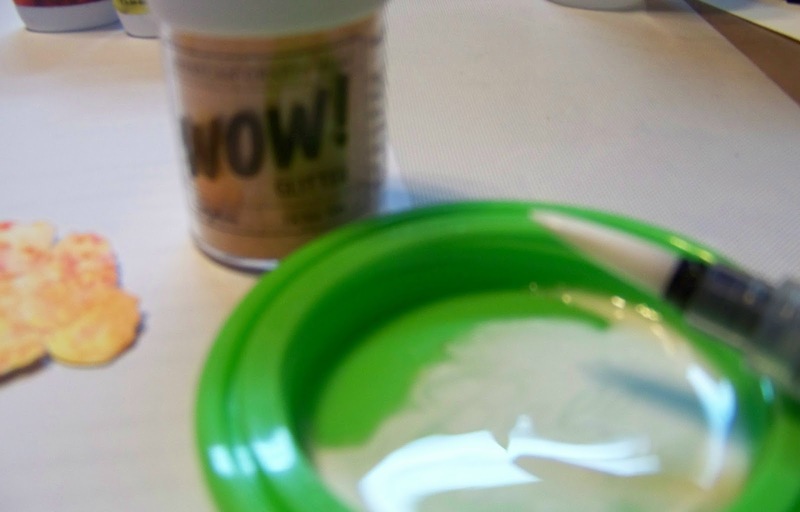 then add Wow Glitter, I used Tangerine. 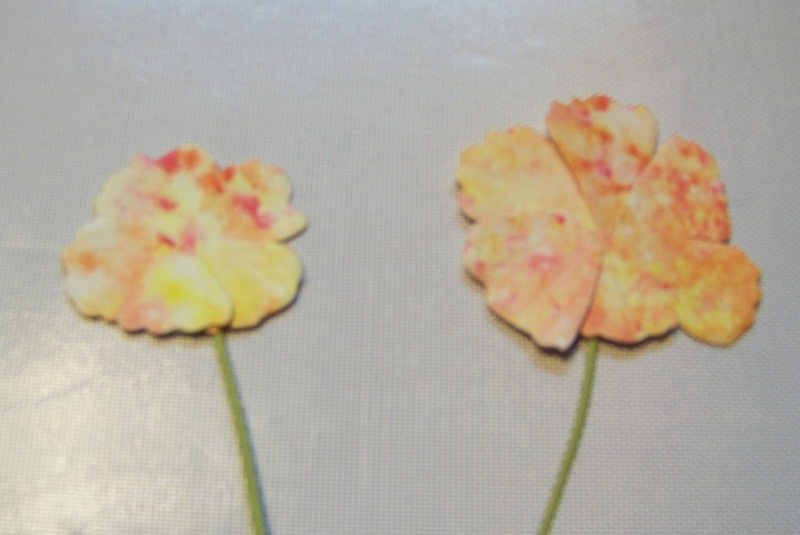 To finish the flowers I added Black Flower Soft to the centers. and Creative Expressions Finishing Touches Petite Vinery. and the sentiment is Stampendous. Hello friends! Today I have a fun little project to share with you. I recently purchased some mini notepads and turned them into cute little Valentine gifts with matching decorated paper clips. Now you’re ready to decorate! I used several different papers from the Red Sampler Pack (Canvas Corp), a Martha Stewart heart border punch, red ric rac ribbon from Petaloo, and some natural colored burlap string. I also created a decorative jumbo paper clip using Prima flowers and tiny white pearls. Now it’s your turn to share the projects you’ve been working on. Stop by the CURRENT LINK PARTY and add any project that includes a few products from companies Cropstop carries in the store! Happy Crafting! It’s Friday, and that means we get to share the work of one of you as a guest designer here on the Cropstop blog!! I love all the different styles and techniques that paper crafters use to create projects, and sharing your work in this spot is an inspiration and joy! This week we’re back with a gorgeous journal spread from my sweet friend, Cheri Weston of Stamp’n Boomer. I just love all the wonderful details she included in this spread — I can’t quit looking at it! Here’s what Cheri says about putting this beautiful project together: “I’m here again as guest designer with another project for CropStop. A place for some one stop papercraft shopping. Today I’d like to share with you a page from my art journal using the Dyan Reaveley Creative Journey Journal . 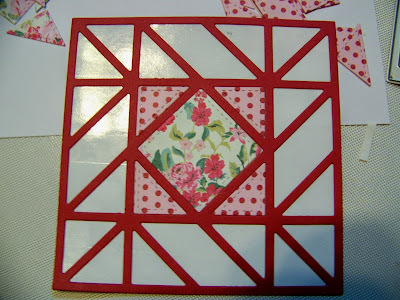 I used a lot of Tim Holtz and Ranger products creating this page. It took awhile, but the process was so much fun. To begin, I prepared the double page with Gel Matte Medium and laid Tim Holtz Tissue paper over it, smoothing it but leaving some wrinkles for texture as I went along. 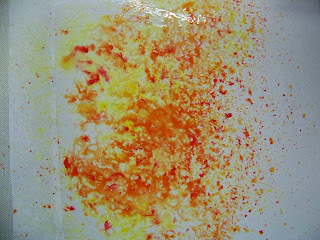 Once the tissue paper was dry I then added some Candied Apple Distress Ink to color the background. Making sure the ink was dry, I again covered both pages with the gel matte medium and glued dollar store paper napkins, that I had trimmed, in the upper corners. While that layer was drying, I stamped the Stampers Anonymous stamp “Ice Skate” (It’s a blueprint stamp), onto cardstock and colored them. I then fussy cut them and set them aside. 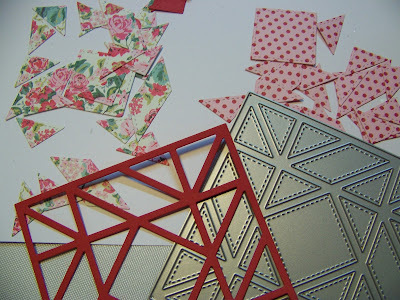 From pieces of scrap paper, die cut the packages with a Sizzix Alterations die then distressed their edges. Going back to the journal which was now dry, I splattered some white acrylic paint to appear as snow and took a damp baby wipe and wiped it in areas to soften the image. I placed the skates and packages where I wanted them and glued them in place. I added dimensionals to the front skate to make it appear forward from the other. I added pieces of embroidery thread to hang and secured those to the back of the page. After adding some ribbon on the packages it was time for the sentiment. In my stash I had some tiny alphabet stamps I’ve had for ions using them, I took a scrap piece of black card stock and stamped out the words in white pigment ink, cutting and separating them from the original piece. The word “wonderful” was created using some old Thickers I had hanging around. I used my white gel pen to highlight them. 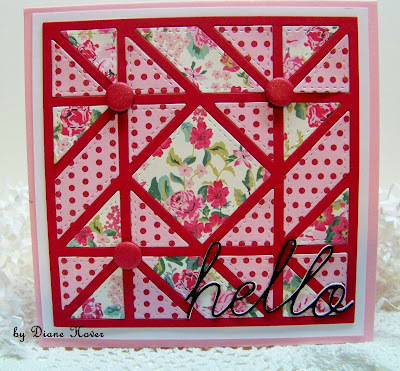 Now it’s your turn…..Stop by the February Link Party and showoff any projects that include a few supplies from companies Cropstop carries in the store! Who knows? Maybe you’re work will be featured here next time! It’s time for a new challenge here on the Cropstop blog, and today I’m sharing a Valentine card I created with a pretty stenciled background. Now it’s your turn to share the projects you’ve been working on! 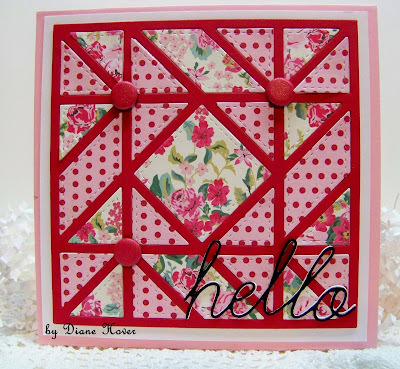 Time for another guest design post here on the Cropstop blog. Today we have a super cute (and FUN!!) 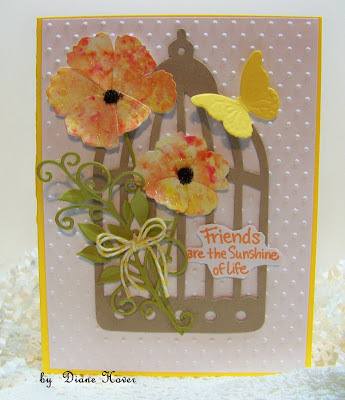 card from my sweet friend Cheri Weston of Stamp’n Boomer. Here’s what Cheri says about creating this adorable Valentine card: “Today is a exciting day for me, I’ve been asked my my crafting friend, Esther Asbury to be a guest designer for CropStop, a fabulous one-stop shopping place for many brands for papercrafters. I’ve had these Bird Crazy stamps from Tim Holtz and Stampers Anonymous for some time and always love using them. Their faces are so funny and I love inking them up and creating with them. I positioned my chosen birds on my MISTI stamp positioner where I wanted them to be on the panel. After stamping them with Memento black ink, I colored them with Copic Markers. Once the coloring was done, I positioned the coordinating die over each bird and die cut them out. I then trimmed the panel with a stitched border die from My Favorite Things and replaced the birds into the negative space on the panel. This gives a lot of dimension to the individual birds. I added a MFT heart balloon die, which was cut out of hot pink card stock multiple times and stacked on top of each other. For a final touch of dimension I added Glossy Accents to the eyes. The sentiment, hearts and little bouquet are all from the Stampers Anonymous “Things/Talk” from Tim Holtz. Now it’s your turn….Stop by the CURRENT LINK PARTY and link up any project that includes a few products from companies Cropstop carries in the store.